Studio Athletica - Financial District Chiropractor | Call Now, Direct Billing. Sometimes, finding a Financial District chiropractor to get you the results you need might be hard. Our chiropractors offer a non-invasive, hands-on form of healthcare provider that focuses on the diagnosis and treatment of mechanical disorders of the musculoskeletal system, especially the spine. With chiropractic care, the treatment is mostly done by using the hands to diagnose, treat, and provide preventative care for conditions and disorders related to the spine, joints, pelvis area, and the central nervous system. LOOKING FOR THE GOLD STANDARD IN A FINANCIAL DISTRICT CHIROPRACTOR? So do you want to be pain-free without medicine or surgery with our Financial District chiropractor? Firstly, we take the time to understand our patient’s history and perform a complete exam. Secondly, our Financial District chiropractor will develop a comprehensive treatment plan including ways to manage pain and also provide their best recommendation for therapeutic exercises and other non-invasive therapy options. Above all, our Financial District chiropractor will provide the opportunity for healing without depending on medications. So, this is a great alternative for people who need relief and cannot take certain medications during pregnancy or due to an allergy. Hence, our facility combines state of the art equipment compared to other Financial District chiropractor clinics. In conclusion, our chiropractors also work alongside medical specialists such as Orthopaedic Surgeons to maximize the patient’s care. The list continues because chiropractic care can address many of the nagging pains and discomforts that if patients neglect could develop into a worse pain and sometimes even a permanent disability. Certain pains, even the slightest that persists could be a sign of spinal irregularities that you may not even be aware of which is why regular chiropractic visits are highly recommended whether you participate in sports, training, or simply living an active lifestyle at home. WHY CHOOSE US AS A FINANCIAL DISTRICT CHIROPRACTOR CLINIC? So before you want to work with us as a Financial District chiropractor clinic, what makes us the gold standard? For one, our facility. In addition, some of our equipment may only be found in research labs and hospitals. Furthermore, our chiropractors work alongside Medical specialists. These specialists include an Orthopaedic Surgeon, Interventional Radiologist, and Pain Medicine. Hence this why everyone considers us a leader when it comes to the Financial District chiropractor clinics. So, in the end, our Financial District chiropractors focus on four important parts. Firstly, it is to reduce pain. Secondly, it is to increase motion. It is then followed by injury prevention. Finally, the goal is to maximize wellness and function. Above all, we use an evidence-based approach to treat the body. 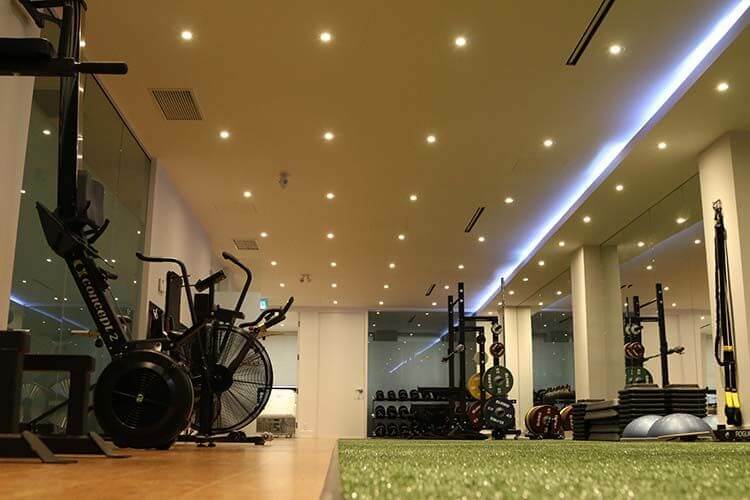 Together with trainers, certified strength and conditioning coaches; we apply scientific knowledge to enhance the body. The price for an initial consultation is $95.00, follow-ups $95.00 for 30 mins, $125.00 for one hour. A simple adjustment is $50.00 and we provide direct billing. Please be sure to check out our Facebook page, and Instagram page.